When potato plants bloom, they send up five-lobed flowers that spangle fields like fat purple stars. 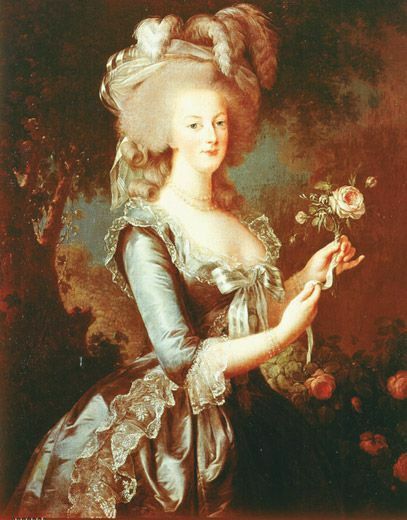 By some accounts, Marie Antoinette liked the blossoms so much that she put them in her hair. Her husband, Louis XVI, put one in his buttonhole, inspiring a brief vogue in which the French aristocracy swanned around with potato plants on their clothes. The flowers were part of an attempt to persuade French farmers to plant and French diners to eat this strange new species. Today the potato is the fifth most important crop worldwide, after wheat, corn, rice and sugar cane. But in the 18th century the tuber was a startling novelty, frightening to some, bewildering to others—part of a global ecological convulsion set off by Christopher Columbus. About 250 million years ago, the world consisted of a single giant landmass now known as Pangaea. Geological forces broke Pangaea apart, creating the continents and hemispheres familiar today. Over the eons, the separate corners of the earth developed wildly different suites of plants and animals. Columbus’ voyages reknit the seams of Pangaea, to borrow a phrase from Alfred W. Crosby, the historian who first described this process. In what Crosby called the Columbian Exchange, the world’s long-separate ecosystems abruptly collided and mixed in a biological bedlam that underlies much of the history we learn in school. The potato flower in Louis XVI’s buttonhole, a species that had crossed the Atlantic from Peru, was both an emblem of the Columbian Exchange and one of its most important aspects. Compared with grains, tubers are inherently more productive. If the head of a wheat or rice plant grows too big, the plant will fall over, with fatal results. Growing underground, tubers are not limited by the rest of the plant. In 2008 a Lebanese farmer dug up a potato that weighed nearly 25 pounds. It was bigger than his head. Equally important, the European and North American adoption of the potato set the template for modern agriculture—the so-called agro-industrial complex. Not only did the Columbian Exchange carry the potato across the Atlantic, it also brought the world’s first intensive fertilizer: Peruvian guano. 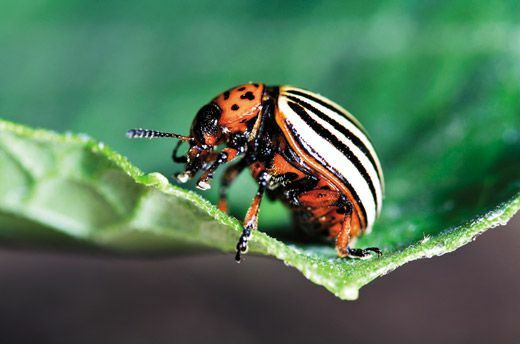 And when potatoes fell to the attack of another import, the Colorado potato beetle, panicked farmers turned to the first artificial pesticide: a form of arsenic. Competition to produce ever-more-potent arsenic blends launched the modern pesticide industry. In the 1940s and 1950s, improved crops, high-intensity fertilizers and chemical pesticides created the Green Revolution, the explosion of agricultural productivity that transformed farms from Illinois to Indonesia—and set off a political argument about the food supply that grows more intense by the day. in the Year of Our Lord 1586. The statue was pulled down by Nazis in early 1939, in the wave of anti-Semitic and anti-foreign measures that followed the violent frenzy known as Kristallnacht. Destroying the statue was a crime against art, not history: Drake almost certainly did not introduce the potato to Europe. And even if he had, most of the credit for the potato surely belongs to the Andean peoples who domesticated it. Geographically, the Andes are an unlikely birthplace for a major staple crop. The longest mountain range on the planet, it forms an icy barrier on the Pacific Coast of South America 5,500 miles long and in many places more than 22,000 feet high. 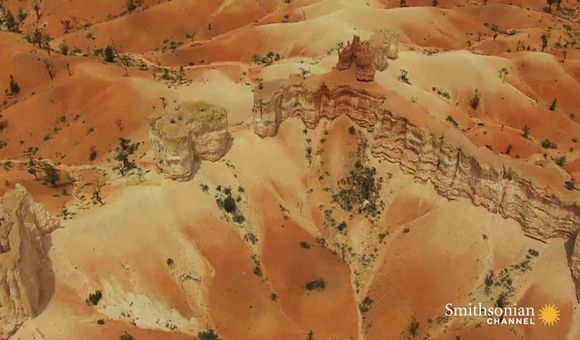 Active volcanoes scattered along its length are linked by geologic faults, which push against one another and trigger earthquakes, floods and landslides. Even when the land is seismically quiet, the Andean climate is active. Temperatures in the highlands can fluctuate from 75 degrees Fahrenheit to below freezing in a few hours—the air is too thin to hold the heat. 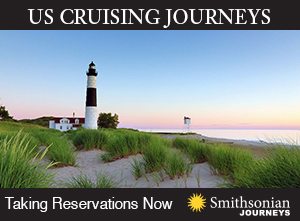 From this unpromising terrain sprang one of the world’s great cultural traditions. 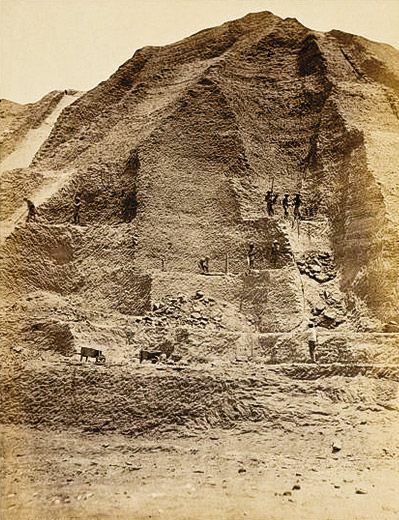 Even as Egyptians built the pyramids, Andeans were erecting their own monumental temples and ceremonial plazas. For millennia, contentious peoples jostled for power from Ecuador to northern Chile. Most famous today are the Inca, who seized much of the Andes in a violent flash, built great highways and cities splendid with gold, then fell to Spanish disease and Spanish soldiers. The mountain cultures differed strikingly from one another, but all were nourished by tuber and root crops, the potato most important. Wild potatoes are laced with solanine and tomatine, toxic compounds believed to defend the plants against attacks from dangerous organisms like fungi, bacteria and human beings. Cooking often breaks down such chemical defenses, but solanine and tomatine are unaffected by heat. In the mountains, guanaco and vicuña (wild relatives of the llama) lick clay before eating poisonous plants. The toxins stick—more technically, “adsorb”—to the fine clay particles in the animals’ stomachs, passing through the digestive system without affecting it. 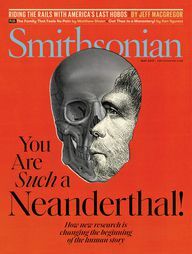 Mimicking this process, mountain peoples apparently learned to dunk wild potatoes in a “gravy” made of clay and water. Eventually they bred less-toxic potatoes, though some of the old, poisonous varieties remain, favored for their resistance to frost. 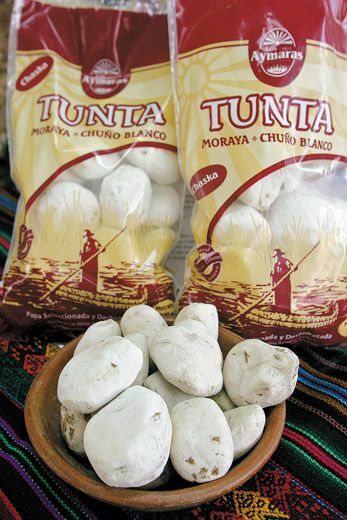 Clay dust is still sold in Peruvian and Bolivian markets to accompany them. Edible clay by no means exhausted the region’s culinary creativity. 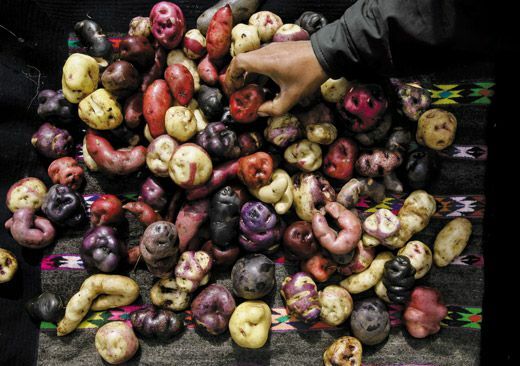 To be sure, Andean Indians ate potatoes boiled, baked and mashed, as Europeans do now. But potatoes were also boiled, peeled, chopped and dried to make papas secas; fermented in stagnant water to create sticky, odoriferous toqosh; and ground to pulp, soaked in a jug and filtered to produce almidón de papa (potato starch). Most ubiquitous was chuño, which is made by spreading potatoes outside to freeze on cold nights, then thawing them in the morning sun. Repeated freeze-thaw cycles transform the spuds into soft, juicy blobs. Farmers squeeze out the water to produce chuño: stiff, styrofoam-like nodules much smaller and lighter than the original tubers. Cooked into a spicy Andean stew, they resemble gnocchi, the potato-flour dumplings in central Italy. Chuño can be kept for years without refrigeration—insurance against bad harvests. It was the food that sustained Inca armies. 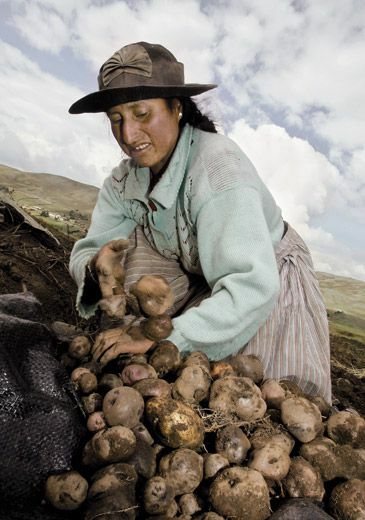 Even today, some Andean villagers celebrate the potato harvest much as their ancestors did in centuries past. Immediately after pulling potatoes from the ground, families in the fields pile soil into earthen, igloo-shaped ovens 18 inches tall. Into the ovens go the stalks, as well as straw, brush, scraps of wood and cow dung. When the ovens turn white with heat, cooks place fresh potatoes on the ashes for baking. Steam curls up from hot food into the clear, cold air. People dip their potatoes in coarse salt and edible clay. Night winds carry the smell of roasting potatoes for what seems like miles. The potato Andeans roasted before contact with Europeans was not the modern spud; they cultivated different varieties at different altitudes. Most people in a village planted a few basic types, but most everyone also planted others to have a variety of tastes. (Andean farmers today produce modern, Idaho-style breeds for the market, but describe them as bland—for yahoos in cities.) The result was chaotic diversity. Potatoes in one village at one altitude could look wildly unlike those a few miles away in another village at another altitude. In 1995, a Peruvian-American research team found that families in one mountain valley in central Peru grew an average of 10.6 traditional varieties—landraces, as they are called, each with its own name. In adjacent villages Karl Zimmerer, an environmental scientist now at Pennsylvania State University, visited fields with up to 20 landraces. The International Potato Center in Peru has preserved almost 5,000 varieties. The range of potatoes in a single Andean field, Zimmerer observed, “exceeds the diversity of nine-tenths of the potato crop of the entire United States.” As a result, the Andean potato is less a single identifiable species than a bubbling stew of related genetic entities. Sorting it out has given taxonomists headaches for decades. The first Spaniards in the region—the band led by Francisco Pizarro, who landed in 1532—noticed Indians eating these strange, round objects and emulated them, often reluctantly. News of the new food spread rapidly. Within three decades, Spanish farmers as far away as the Canary Islands were exporting potatoes to France and the Netherlands (which were then part of the Spanish empire). The first scientific descrip­tion of the potato appeared in 1596, when the Swiss naturalist Gaspard Bauhin awarded it the name Solanum tuberosum esculentum (later simplified to Solanum tuberosum). With such halfhearted endorsements, the potato spread slowly. When Prussia was hit by famine in 1744, King Frederick the Great, a potato enthusiast, had to order the peasantry to eat the tubers. In England, 18th-century farmers denounced S. tuberosum as an advance scout for hated Roman Catholicism. “No Potatoes, No Popery!” was an election slogan in 1765. France was especially slow to adopt the spud. Into the fray stepped Antoine-Augustin Parmentier, the potato’s Johnny Appleseed. Trained as a pharmacist, Parmentier served in the army during the Seven Years’ War and was captured by the Prussians—five times. During his multiple prison stints he ate little but potatoes, a diet that kept him in good health. His surprise at this outcome led Parmentier to become a pioneering nutritional chemist after the war ended, in 1763; he devoted the rest of his life to promulgating S. tuberosum. Parmentier’s timing was good. 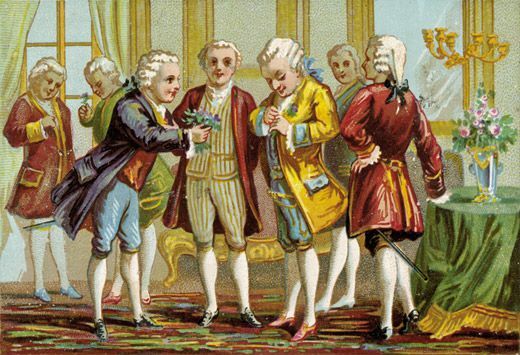 After Louis XVI was crowned in 1775, he lifted price controls on grain. Bread prices shot up, sparking what became known as the Flour War: more than 300 civil disturbances in 82 towns. Parmentier tirelessly proclaimed that France would stop fighting over bread if only her citizens would eat potatoes. Meanwhile, he set up one publicity stunt after another: presenting an all-potato dinner to high-society guests (the story goes that Thomas Jefferson, one of the guests, was so delighted he introduced French fries to America); supposedly persuading the king and queen to wear potato blossoms; and planting 40 acres of potatoes at the edge of Paris, knowing that famished commoners would steal them. In exalting the potato, Parmentier unwittingly changed it. All of Europe’s potatoes descended from a few tubers sent across the ocean by curious Spaniards. When farmers plant pieces of tuber, rather than seeds, the resultant sprouts are clones. By urging potato cultivation on a massive scale, Parmentier was unknowingly promoting the notion of planting huge areas with clones—a true monoculture. The effects of this transformation were so striking that any general history of Europe without an entry in its index for S. tuberosum should be ignored. Hunger was a familiar presence in 17th- and 18th-century Europe. Cities were provisioned reasonably well in most years, their granaries carefully monitored, but country people teetered on a precipice. France, the historian Fernand Braudel once calculated, had 40 nationwide famines between 1500 and 1800, more than one per decade. This appalling figure is an underestimate, he wrote, “because it omits the hundreds and hundreds of local famines.” France was not exceptional; England had 17 national and big regional famines between 1523 and 1623. The continent simply could not reliably feed itself. It was said that the Chincha Islands gave off a stench so intense they were difficult to approach. The Chinchas are a clutch of three dry, granitic islands 13 miles off the southern coast of Peru. Almost nothing grows on them. Their sole distinction is a population of seabirds, especially the Peruvian booby, the Peruvian pelican and the Peruvian cormorant. Attracted by the vast schools of fish along the coast, the birds have nested on the Chincha Islands for millennia. Over time they covered the islands with a layer of guano up to 150 feet thick. Guano, the dried remains of birds’ semisolid urine, makes excellent fertilizer—a mechanism for giving plants nitrogen, which they need to make chlorophyll, the green molecule that absorbs the sun’s energy for photosynthesis. Although most of the atmosphere consists of nitrogen, the gas is made from two nitrogen atoms bonded so tightly to each other that plants cannot split them apart for use. As a result, plants seek usable nitrogen-containing compounds like ammonia and nitrates from the soil. Alas, soil bacteria constantly digest these substances, so they are always in lesser supply than farmers would like. From today’s perspective, the outrage—threats of legal action, whispers of war, editorials on the Guano Question—is hard to understand. But agriculture was then “the central economic activity of every nation,” as the environmental historian Shawn William Miller has pointed out. 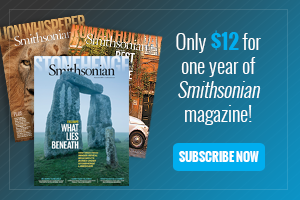 “A nation’s fertility, which was set by the soil’s natural bounds, inevitably shaped national economic success.” In just a few years, agriculture in Europe and the United States had become as dependent on high-intensity fertilizer as transportation is today on petroleum—a dependency it has not shaken since. Guano set the template for modern agriculture. Ever since von Liebig, farmers have treated the land as a medium into which they dump bags of chemical nutrients brought in from far away so they can harvest high volumes for shipment to distant markets. To maximize crop yields, farmers plant ever-larger fields with a single crop—industrial monoculture, as it is called. Before the potato (and corn), before intensive fertilization, European living standards were roughly equivalent to those in Cameroon and Bangladesh today. On average, European peasants ate less per day than hunting-and-gathering societies in Africa or the Amazon. Industrial monoculture allowed billions of people—in Europe first, and then in much of the rest of the world—to escape poverty. 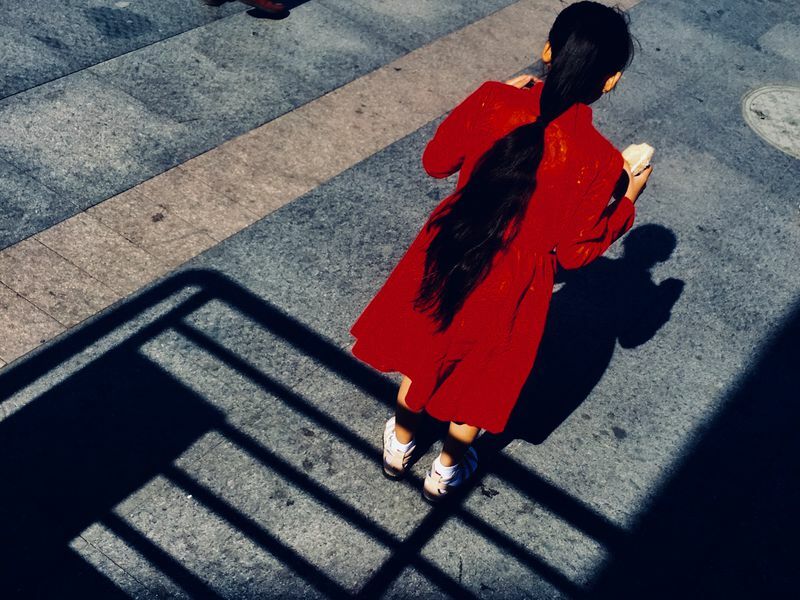 The revolution begun by potatoes, corn and guano has allowed living standards to double or triple worldwide even as human numbers climbed from fewer than one billion in 1700 to some seven billion today. The name Phytophthora infestans means, more or less, “vexing plant destroyer.” P. infestans is an oomycete, one of 700 or so species sometimes known as water molds. It sends out tiny bags of 6 to 12 spores that are carried on the wind, usually for no more than 20 feet, occasionally for half a mile or more. When the bag lands on a susceptible plant, it breaks open, releasing what are technically known as zoospores. If the day is warm and wet enough, the zoospores germinate, sending threadlike filaments into the leaf. The first obvious symptoms—purple-black or purple-brown spots on the leaves—are visible in about five days. By then it is often too late for the plant to survive. 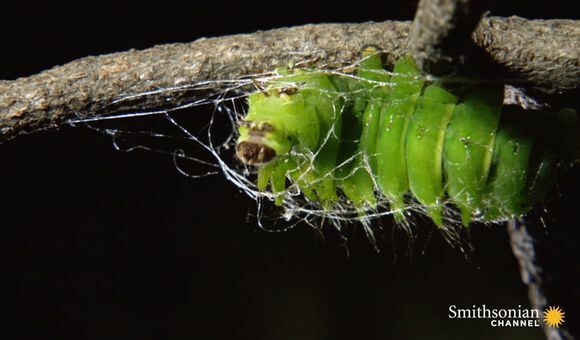 P. infestans preys on species in the nightshade family, especially potatoes and tomatoes. Scientists believe that it originated in Peru. Large-scale traffic between Peru and northern Europe began with the guano rush. Proof will never be found, but it is widely believed that the guano ships carried P. infestans. Probably taken to Antwerp, P. infestans first broke out in early summer 1845, in the West Flanders town of Kortrijk, six miles from the French border. The blight hopscotched to Paris by that August. Weeks later, it was destroying potatoes in the Netherlands, Germany, Denmark and England. Governments panicked. It was reported in Ireland on September 13, 1845. Cormac O Grada, an economist and blight historian at University College, Dublin, has estimated that Irish farmers planted about 2.1 million acres of potatoes that year. In two months P. infestans wiped out the equivalent of one-half to three-quarters of a million acres. The next year was worse, as was the year after that. The attack did not wind down until 1852. A million or more Irish people died—one of the deadliest famines in history, in the percentage of population lost. A similar famine in the United States today would kill almost 40 million people. Within a decade, two million more had fled Ireland, almost three-quarters of them to the United States. Many more would follow. 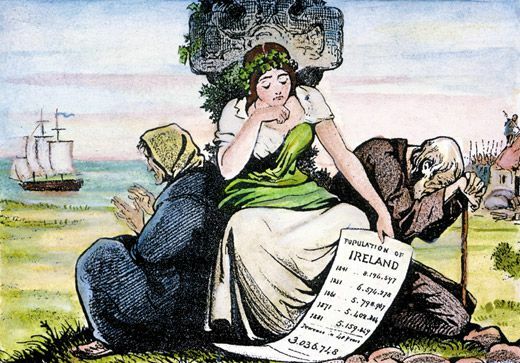 As late as the 1960s, Ireland’s population was half what it had been in 1840. Today the nation has the melancholy distinction of being the only country in Europe, and perhaps the world, to have fewer people within the same boundaries than it did more than 150 years ago. Despite its ghastly outcome, P. infestans may be less important in the long run than another imported species: Leptinotarsa decemlineata, the Colorado potato beetle. Its name notwithstanding, this orange-and-black creature is not from Colorado. Nor did it have much interest in potatoes in its original habitat, in south-central Mexico; its diet centered on buffalo bur, a weedy, spiny, knee-high potato relative. Biologists believe that buffalo bur was confined to Mexico until Spaniards, agents of the Columbian Exchange, carried horses and cows to the Americas. Quickly realizing the usefulness of these animals, Indians stole as many as they could, sending them north for their families to ride and eat. Buffalo bur apparently came along, tangled in horse manes, cow tails and native saddlebags. The beetle followed. In the early 1860s it encountered the cultivated potato around the Missouri River and liked what it tasted. For millennia the potato beetle had made do with the buffalo bur scattered through the Mexican hills. By comparison, an Iowa farm, its fields solid with potatoes, was an ocean of breakfast. Because growers planted just a few varieties of a single species, pests like the beetle and the blight had a narrower range of natural defenses to overcome. If they could adapt to potatoes in one place, they could jump from one identical food pool to the next—a task made easier than ever thanks to inventions like railroads, steamships and refrigeration. Beetles spread in such numbers that by the time they reached the Atlantic Coast, their glittering orange bodies carpeted beaches and made railway tracks so slippery as to be impassable. Desperate farmers tried everything they could to rid themselves of the invaders. 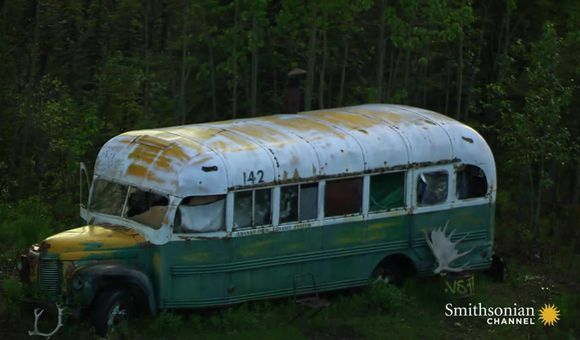 Eventually one man apparently threw some leftover green paint on his infested plants. It worked. 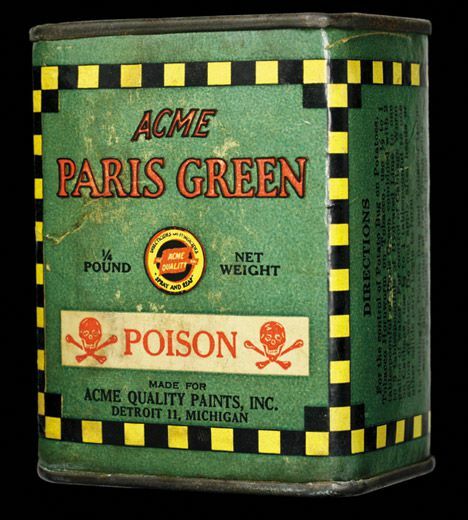 The emerald pigment in the paint was Paris green, made largely from arsenic and copper. Developed in the late 18th century, it was common in paints, fabrics and wallpaper. Farmers diluted it with flour and dusted it on their potatoes or mixed it with water and sprayed. To potato farmers, Paris green was a godsend. To chemists, it was something that could be tinkered with. If arsenic killed potato beetles, why not try it on other pests? If Paris green worked, why not try other chemicals for other agricultural problems? In the mid-1880s a French researcher discovered that spraying a solution of copper sulfate and lime would kill P. infestans. Spraying potatoes with Paris green, then copper sulfate would take care of both the beetle and the blight. The modern pesticide industry had begun. As early as 1912 beetles began showing signs of immunity to Paris green. Farmers didn’t notice, though, because the pesticide industry kept coming up with new arsenic compounds that kept killing potato beetles. By the 1940s growers on Long Island found they had to use ever-greater quantities of the newest variant, calcium arsenate. 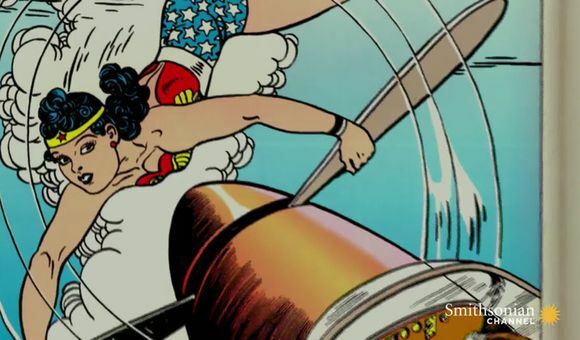 After World War II an entirely new type of pesticide came into wide use: DDT. Farmers bought DDT and exulted as insects vanished from their fields. The celebration lasted about seven years. The beetle adapted. Potato growers demanded new chemicals. The industry provided dieldrin. It lasted about three years. By the mid-1980s, a new pesticide in the eastern United States was good for about a single planting. In what critics call the “toxic treadmill,” potato farmers now treat their crops a dozen or more times a season with an ever-changing cavalcade of deadly substances. Nonetheless, the pests keep coming back. Researchers were dismayed in the 1980s to discover that new types of P. infestans had found their way to Europe and America. They were more virulent—and more resistant to metalaxyl, the chief current anti-blight treatment. No good substitute has yet appeared. 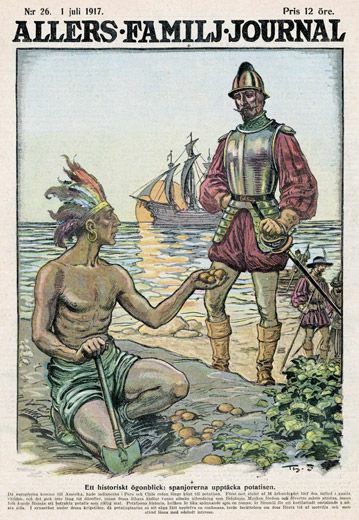 Adapted with permission from 1493: Uncovering the New World Columbus Created, by Charles C. Mann. Copyright © 2011 Charles C. Mann. Charles C. Mann has written five previous books, including 1491, plus articles for Science, Wired and other magazines.